China is a big culinary and cultural country. For a long time in a certain region due to geographical environment, climatic properties, cultural traditions and national customs and other factors, the formation of a certain degree of kinship inheritance relations, dishes similar flavor, high visibility, and some of the popular local flavor known as the famous schools of cuisine. 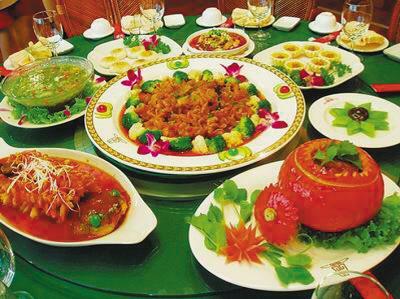 Eight Great Cuisines of Shandong Cuisine Qilu dishes are known for their fragrance, freshness and purity of taste. One dish is blind, the hundred dishes are not heavy. There are strict regulations on the use and cooking of especially heavy soups, clear soups and milk soups. The dishes are known as fresh and crisp and tender. 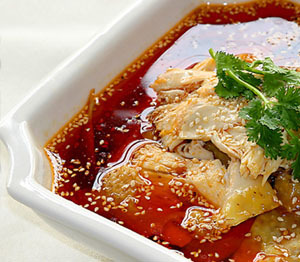 One of the major characteristics of Jinan cuisine is made with high soups. Sweet and sour carp, Kung Pao Chicken Ding (Lu), Jiuzhuan large intestine, double crisp soup, milk soup PuCai, Nanchang, Yuji pickpocket, Jinan Roast Duck and so on are well-known dishes in Jinan. Jinan's famous delicacies are: Pot stickers, soup dumplings, pancakes, Sugar Sui pancakes, Rohan cake, money crisp, steamed honey three knives, dumplings and so on. Texas food is also an important flavor of Qilu, on behalf of the dishes have Texas Bone Chicken.S9S The formation and development of Shandong cuisine is related to the cultural history, geographical environment, economic conditions and customs of Shandong. Shandong is one of the cradles of ancient Chinese culture. Located in the lower reaches of the Yellow River, the climate is mild and Jiaodong Peninsula stands out between the Bohai Sea and the Yellow Sea. Hills and rivers crisscross the territory, rivers and lakes staggered, wild, rich, convenient transportation and culture developed. Its grain output ranks third in the country; a wide variety of vegetables, high quality, is known as "the world's three major vegetable garden" one of, such as Jiaozhou cabbage, Zhangqiu spring onion, Cangshan garlic, Laiwu ginger are renowned at home and abroad. 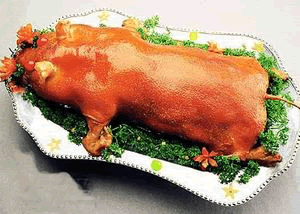 Shandong Cuisine: Shandong Cuisine is composed of Qilu, Jiaoliao and Kongfu. It is the largest cuisine in the palace. It takes the Kongfu flavor as the leader. Shandong Cuisine has an important influence on the production of other cuisines. Therefore, Shandong Cuisine is the first of the eight cuisines.S9S (1) Qilu flavor, Qilu flavor to Jinan cuisine as the representative, prevalent in northern Shandong, Tianjin, Hebei. ❤ Eight Great Cuisines of Sichuan Cuisine Sichuan cuisine is also a time-honored cuisine, the birthplace of the ancient Ba and Shu kingdoms. According to Huayang Guozhi, Ba "sown grain, raise six animals," and produce fish salt and tea honey; while Shu "shanlin zebra fish, garden gourd fruit, four generations of cooked, the lethargy." The seasonings of Ba and Shu were brine, rock salt, Sichuan pepper and "ginger of the Yangpu". Among the relics unearthed in the tombs of the Warring States period, various bronze wares and pottery utensils can be seen in the germination of Sichuan cuisine. The formation of Sichuan cuisine was roughly between the unification of the three kingdoms by Qin Shihuang. Qu Hao, an international culinary master, believes that the traditional Sichuan food is too heavy taste, heavy oil, high salt, partial spicy, Sichuan because of regional reasons, heavy moisture, eat more pepper and pepper dehumidification is very good for the body, but Beijing's climate is drier, eat more spicy also detrimental to the body. For consumers, try to make meals reasonable collocation. Professor Yang Li suggested, like spicy chicken, Mao Xuewang and other chili peppers more Sichuan dishes, may wish to eat with some radishes. Because radishes are cool, not only can solve spicy, but also smooth gas. If you order more oily Sichuan dishes such as boiled fish, it is best to order a plate of coleslaw tofu or coleslaw black fungus at the same time, clear fire and scrape oil. "Bitter" food is greasy, spicy natural enemy, the first push bitter gourd, whether it is cold, vegetarian or soup, can achieve the purpose of oil fire. Notes on eating Sichuan cuisine:　It should be noted that for northern people who do not eat spicy food, spicy should be moderate, once a week or fortnight.After eating spicy food, eat more fruit rich in vitamin C, such as strawberries, kiwi fruit, to dilute the adverse effects of spicy food on the body. Professor Yang Li of the Graduate School (Xiyuan) of the Chinese Academy of Chinese Medical Sciences, a leading expert on TCM wellness, said that modern diets also avoid being too oily and too spicy, as chili peppers have a strong irritant and are prone to dry mouth, cough, sore throat and constipation. ❤The Min Cuisine of Eight Great Cuisines Fujian cuisine has always been known for its fine selection of ingredients, rigorous knife work, attention to heat, soup, seasoning, and flavor. Its cooking skills, there are four distinctive features, one is the use of fine slices, cut, such as knife method, so that different texture of raw materials, to achieve a thorough effect of taste. Therefore, Fujian cuisine knife workers have "flowers such as Li, silk cut, such as thin hair." If the coleslaw dish "radish sting", will thin jellyfish skin, each separately cut into 2 ~ 3 pieces, then cut into extremely fine silk, and the same thick and thin carrot together cooking, cold mixed with seasoning on the table. Fujian cuisine is one of the eight Chinese cuisines developed through the mixing of the Han culture of Central Plains and the ancient Vietnamese culture of the region. It also includes local dishes with different flavors of Fuzhou, Minnan and Western Fujian. Xu Jian of the Tang Dynasty recorded in the Book of Beginners: "Guazhou Hong Qu, mixed with half, soften paste Run, the entrance scattered." The red music is the Central Plains before the Tang Dynasty of a cooking ingredients, after this kind of ingredients with immigrants into Fujian, and for the local people in large quantities used in food, red has since become a major feature of Fujian cuisine, there are "red chicken," bad. With the development of the times and the introduction of overseas skills, Fujian cuisine has gradually evolved into a fine, light, elegant character, has developed into a very high style of a major cuisine. As the three main protagonists of Fujian cuisine, Fuzhou cuisine, Minnan cuisine and Minxi cuisine have their own characteristics. 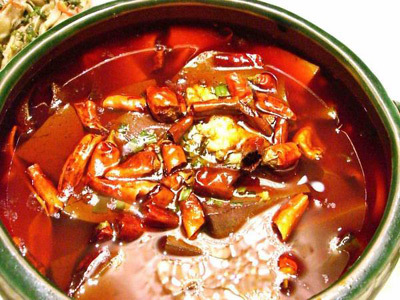 Fuzhou cuisine makes good use of red lees as ingredients, paying attention to seasoning soup, giving people a hundred soup flavor, nose attack, including "meat rice fish lips", "mushroom soup belly" are very local characteristics of the delicacies. Minnan cuisine, heavy, light, materials stress, make good use of spicy, "East resembles the Dragon Ball", "Fried Sand Tea Beef", "Scallion Feet Gluten" and so on reflect the rich flavor of Minnan. 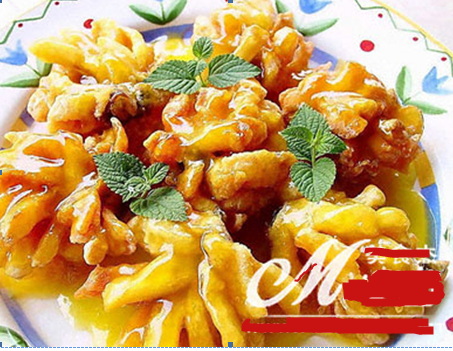 Minxi cuisine, cooked with shanzhen game, characterized by a thick mellow aroma, its representative works are "fried to the ground", "shredded golden bean curd monkey", " white dried fish. Fujian cuisine as a whole, its distinctive features, mainly reflected in the following four points: First, the knife is rigorous, vegetables in the raw, its knife workers have "shredded as hair, thin as paper," the beauty of the dishes is unique, let a person breathtaking shape; Second, more soup, taste pure, because Fujian has rich seafood resources, and soup to ensure that the cooking of pure soup ; The third is the strange seasoning, sweet, sour, light, make good use of sugar, vinegar; the fourth is cooking delicate, rich and diverse, "Tan Qi meat fluttering around, Buddha Wen abandoned Zen Jumping Wall", is the production of fine local simmer crown "Buddha Jumping Wall" vivid portrayal, In addition, the color white, tender and crisp "raw fried sea clam", crisp fragrant and delicate, smooth and refreshing "litchi meat", fresh meat, sweet and palatable "red bad sheep" is the embodiment of the rich connotation of Fujian cuisine. 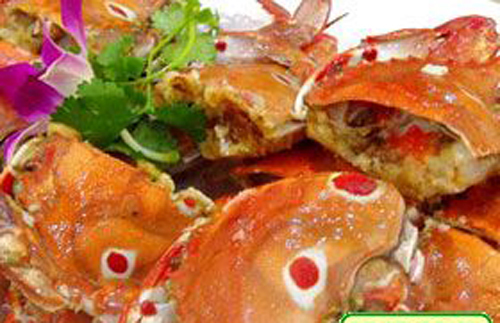 ❤Eight Great Cuisines of Su Cuisine Su cuisine is the local delicacy of Jiangsu. Jiangsu is the place where famous chefs gather. The first professional chef in our country and the first city named after the chef are here. Making pheasant soup for Emperor Yao to eat, was sealed as the Great Peng State, also known as today's Xuzhou, formerly known as Peng Keng, also known as Peng Zu. Xia Yu era, "Huai Yi Gong Yu", Huai Bai Yu until the Ming and Qing Dynasties are tributes. "Cookies are beautiful, with the District of Jing", Shang Tang period of Taihu Lake vegetables leek has been Daya Hall. 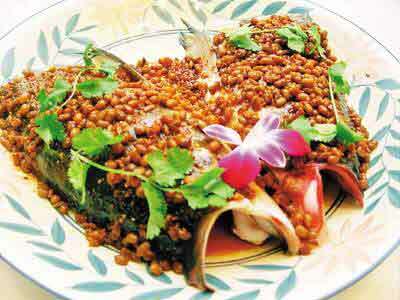 Spring and autumn Qi Yi Ya in Xuzhou preach art, by his creation of "fish belly lamb" spread through the ages, is the word. ❤Eight Cuisines of Cantonese Cuisine Cantonese cuisine is composed of three local flavors: Guangzhou cuisine, Chaozhou cuisine and Dongjiang cuisine. 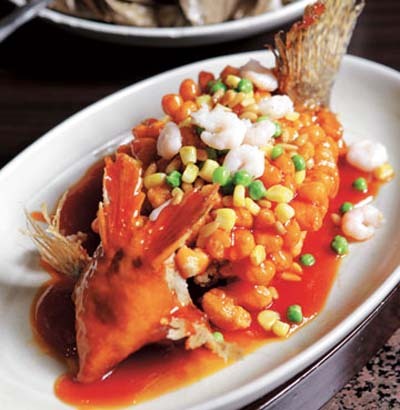 Guangzhou cuisine includes famous dishes from the Pearl River Delta, Zhaoqing, Shaoguan, Zhanjiang and other places. The most widely used materials, complex materials, fine selection, skilled, good at change, the flavor of exquisite, clear and not light, fresh and not vulgar, tender and not raw, not greasy. Summer and autumn to light, winter and spring heavy, good at small stir-fry, require to master the fire and oil temperature just right. Chaoshan is the former Fujian, its language and customs and similar to the South Fujian. ❤Eight Great Cuisines of Hunan Cuisine Hunan cuisine, or Hunan cuisine, is developed from local dishes such as the Xiangjiang River Basin, Dongting Lake Area and Xiangxi Mountainous Area. The cuisine of the Xiangjiang River Basin, centered on Changsha, Hengyang and Xiangtan, is the main representative of Hunan cuisine. Its production of fine, with a wide range of materials, its characteristics are oil, color, pay attention to affordable. Taste on crisp, hot and sour, soft and tender. Xiangxi cuisine is good at spicy and spicy, with strong mountain flavor. Hunan cuisine has a long history, as early as the Han Dynasty has formed a cuisine, cooking skills have been quite high level. ❤Eight Great Cuisines of Zhejiang Cuisine South cuisine, represented by Hangzhou, Ningbo, Shaoxing, three local delicacies, early fame. 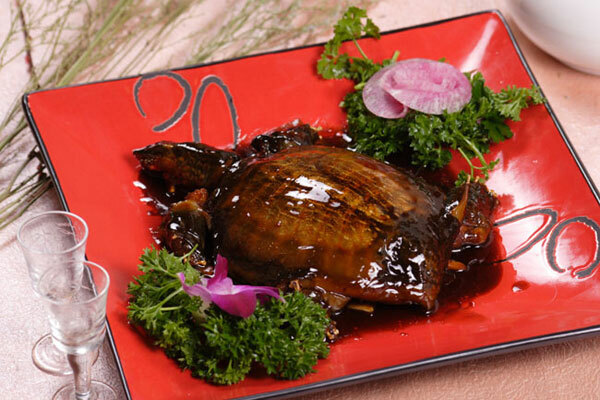 Zhejiang cuisine is also quite a long history. The Beijingers went south to open a restaurant, the use of northern cooking methods will be rich in southern ingredients made delicious, "South North cooking" has become a major feature of Zhejiang cuisine. In the past, such as southerners taste is not sweet, northerners southward, affecting southerners taste, vegetables also put sugar. 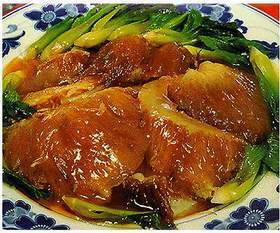 Bianjing famous dish "sweet and sour Yellow River carp" to Lin'an, fish as raw material, cooked into Zhejiang famous dish "Xihu vinegar fish." ❤Eight Great Cuisines of Hui Cuisine Huizhou cuisine in southern Anhui Province is the main representative of the Huizhou cuisine, originated in the foothills of the Yellow Mountains under the Shexian County, that is, ancient Huizhou. After the New Anjiang River Tunxi town has become a "Qi Hong", "Tunlu" and other famous tea and Huimo, Sheshan and other native products distribution center, the food industry developed, Huizhou dishes gradually shifted to Tunxi, where further development. Song Gaozong once asked She to taste Wang Zao, a bachelor, Wang Zao held MeiSheng Yu's poem to answer "snowy oxtail beaver, sand horseshoe turtle." Cow tail, also known as civet beaver, also known as white amount. The emblem cuisine is good at cooking skills of burning, stewing and steaming, but less, heavy oil, color, heavy firework.